Merry Christmas to the Master of the Fist. It hasn't even been a year since Street Fighter V hit shelves and Season 2 is here. Capcom's decision to wait until the end of the Pro Tour season to drop a massive batch of changes drew some heat from the community, who felt that some characters needed work earlier. For my money, it makes sense to do things this way: you don't change the way goals are scored halfway through a Premier League season, after all. The changelog is considerable, weighing in at 92 pages that detail all of the new frame data for each character move by move. The focus of this column will be on the broader changes made to the battle system and how they’re going to affect all of the characters over the next year, broken down and explained for players of all skill levels. Understanding frame data isn’t crucial to enjoying Street Fighter V, but it is important to know the basics of it if you’re looking to improve your overall game and, to be honest, it’s not as complex as you’d think. Did you miss the Capcom Cup? Catch up here. Mashing out a Dragon Punch when knocked down is a scrubby tactic that has been used for years in Street Fighter games. In Season 1, a Dragon Punch (shortened to DP, which also includes Cammy’s Cannon Spike and Necalli’s Raging Light) was invincible from its very first frame of animation. What this meant is that if you managed to knock down your opponent and rushed towards them to follow up your attack, whether that be by going for a throw or landing a ‘meaty’ attack (a meaty attack is when you time a move so it hits with its last few active frames of animation, so it connects with an opponent at the first possible instance and will beat any button they press to the punch, so to speak) if they do a DP it will beat you no matter what. Now, only EX DPs are invincible from the first frame, so a meaty attack will beat them. This means that if you’re a character like Zangief and you see that your opponent has no meter to use for an EX move, you can go in on them without fear and put them in a situation where they have to guess whether you’re going to attack them, throw them or go for a command grab, because they can’t just mash out the one move that beats all three of your options. This is a considerable change to the way Street Fighter works and one that makes grapplers seem very strong in Season 2. Obviously, Ken and Ryu players are quite upset by this. The anti-air jab was the absolute bane of Season 1. In short, some characters could simply press their jab button and hit you out of the air, dropping you into a position where you’re in a 50/50 throw mixup situation. Chun-Li’s was particularly rude - she could recover quick enough from her longest range attack to jab anti-air someone who made the correct read and jumped in on her. Necalli’s jab auto-corrected the side he needed to face to beat cross ups and even countered Dhalsim’s teleport simply by pressing a button. Not all characters had this ability, and it’s no surprise that the ones that did quickly rose to the top. The funniest part is that most of these characters have a solid, reliable anti-air anyway. Necalli has his DP, as does Ryu, but there’s no point using those when you just can press a single button. Now, the hit boxes on those moves have been changed so it is much harder to use that button as an anti-air, meaning that blocking or using a much more risky option will need to be used to stop a jump-in attempt. Good riddance. Recoverable damage, also known as white/grey life, is accrued by blocking attacks and should you take a hit you lose all of it alongside the hit damage. It now recovers twice as slowly as before, meaning that if you just sit and block you will find yourself with a massive chunk of damage that could easily be converted into a huge hit to your health if you make a mistake. Suddenly, F.A.N.G’s poison and Dhalsim’s V-Trigger are super dangerous tools, while Zangief’s V-Skill is actually something that could become a very risky tactic for a ‘Gief player. Some characters have received some considerable hits to their moveset in the name of balance. Chun-Li’s instant air legs no longer leave her at a frame advantage on black, so she can’t beat you to the punch on any button you dare press. In fact, it’s massively punishable, so any Chun-Li player who used to spam that move and wait to confirm into a combo from any hit will find themselves in a lot of trouble. The hardest-hit character was R. Mika, who overall Capcom Pro Tour champion NuckleDu has spent the year using. She has the ability to grab you and Irish Whip you, and if you bump the edge of the screen you bounce off into a devious mixup situation that can be repeated until you’re very dead. Mika players quickly found out that if you dash backwards to pull the screen’s’ edge towards their opponent, they could get the corner bounce from anywhere on the stage. Now, that only works in the corner, meaning that Mika has to work to get you into that position before she can do any of her trickery. That’s definitely more fair, but also a massive change to the way that character has to be played. It’s not unreasonable to assume we won’t see Mika in the Grand Finals of Capcom Cup next year, but then, NuckleDu is that good. 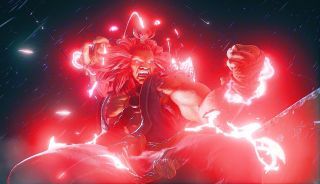 Finally, the first Season 2 character dropped alongside the balance patch and fan favourite Akuma is now part of the Street Fighter V roster. Early impressions of him seem to indicate that he’s a very solid character, possibly stronger than existing ‘Shotos’ Ken and Ryu. That would instantly put him in the top half of the tier list. He has high damage output, a parry as V-Skill that sets up combos and, interestingly, a Critical Art that can be comboed after, which is something unique to him right now. He’s a total glass cannon, however, as with 825 health he’s the lowest in the game and some characters can eat his bar in a couple of decent combos. It’s still early days but it does look like having a pocket Akuma is going to be a useful thing to have during Season 2 and it isn't hard to imagine a lot of Ryu/Ken mains having their head turned by the Master of the Fist.